This little bugger wasn’t too keen on sleeping for his session last week! That’s ok though because it means that I get to see him again tomorrow for more snuggles. 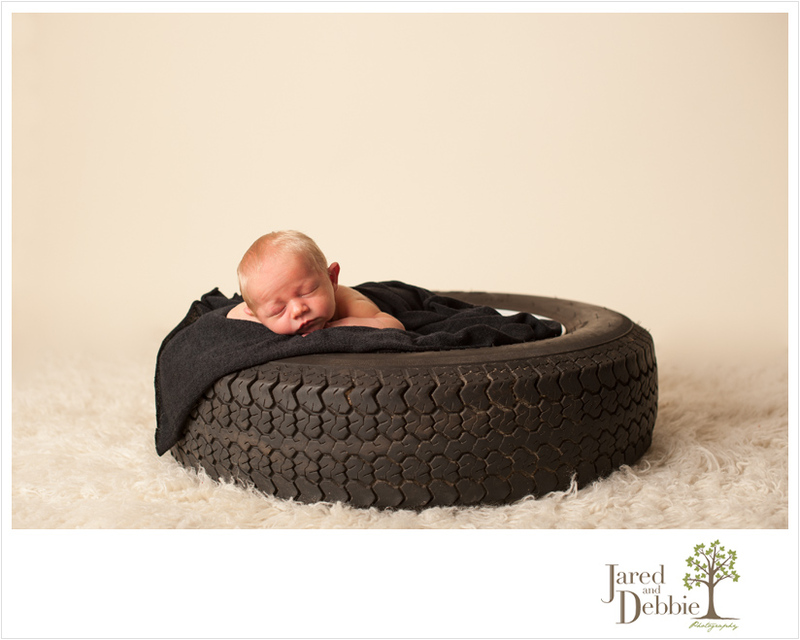 Grandma and Grandpa own a local tire business and Dad retreads tires so it was only fitting that we used a tire for Oliver’s prop shot! It was actually a last minute thought that Mom had and we just so happened to have a few tires laying around. Cleaned this one up, but some blankets on the inside and voila! I think we’ll use this throughout his first year to really see how much he grows! Here’s just a peek at Baby Oliver, 8 days new. Stay tuned for more images from this handsome little guy’s newborn session!